When I got this book in the mail to provide a review for I was already eager to start reading it just because of the title. 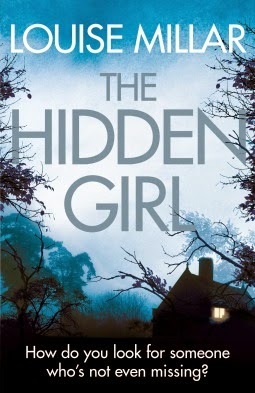 “The Hidden Girl” is a great book and the story really had me on the edge of my seat; I couldn’t wait to read the next page just to see what would happen next. The first chapter was a little boring, but once I got through it then it seemed like the story moved a little quicker through the rest of the book. Once I started chapter two I was able to continue reading this story until I was on chapter five! I immediately felt connected to “Hannah” the main female character in this book. I could understand her feelings and the longing she had for a baby; I felt the same feelings she did when she started cleaning, repairing, and fixing up their old house in the countryside in anticipation of having a child live there one day. I loved how this book was a suspenseful yet fictitious novel. Had I never read this type of genre before I would think it was an actual even in someone’s life. I kept thinking I knew why “Hannah” was so paranoid and who was causing all the “intruder” issues, but I was wrong at every assumption I had. I was really surprised to learn who was causing all of the issues and paranoia in “Hannah’s” life. Although “Will” was the husband of the main character I didn't feel like he played a very big part in the story; although he was mentioned quite a bit throughout the story I felt like he could have had more of an impact on the plot than he did.